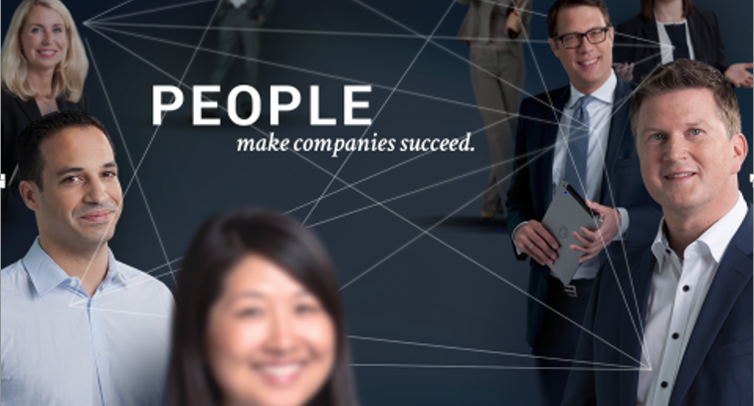 People make companies succeed. With this conviction, we are moving people in organizations – passionate and together for the success of our clients. Promote competencies. Drive Implementation. Accelerate change. 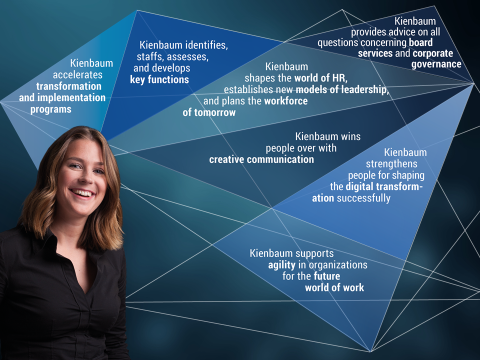 Kienbaum is one of Europe’s leading providers of Executive Search and HR consultancy services and is recognized for its unique focus on people and organization as well for its emphasis on digitalization and inspirational work culture. 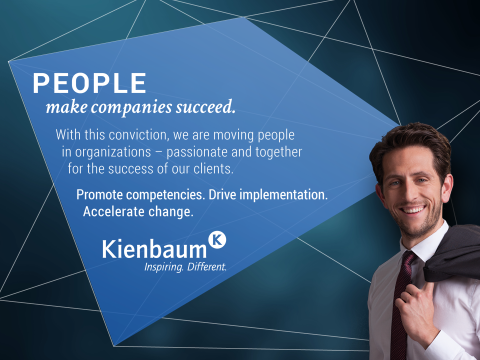 Kienbaum is formed by 650 passionate colleagues, who are based in one of the 32 offices in 18 countries across the globe. Our Amsterdam office is characterized by a dynamic, informal, flexible, professional and sincere attitude committed to delivering our candidates and clients a world-class experience. Open-minded and non-hierarchical, we value each individual in the team and put strong emphasis on personal and career development. Consultancy services we offer in the Netherlands to (international) clients, include Executive Search, NewPlacement, (Team) Audits and Assessments, Coaching and Training and Interim. The majority of our projects have a strong international component to it. Daily Amsterdam office languages are Dutch, German and English so it comes in handy if you speak at least two of these languages fluent. We are up-to-date on various topics regarding people and organization to remain thought leaders in amongst others Diversity, Digitalization and Corporate Governance. Kienbaum Netherlands, part of the international Kienbaum group (HQ in Köln, Germany), is growing its team in Amsterdam and seeking a Consultant with fluent Dutch and English language skills and experience in Executive Search or Recruitment. This could be an appealing opportunity for a Recruitment Consultant who gradually wants to move into Executive Search with a combined role of execution and commercial targets. Off course candidates with Executive Search experience are very much welcomed to apply. In our 75 years of existence we have built up a network of 28 offices in 18 countries and managed to reinvent ourselves over and over. Also today you will find an Executive Search firm different from others with a digital feel, an informal company culture, young spirited, innovative and dynamic but with all the competencies and the quality drive which belongs to Executive Search. This opportunity is for a team player who is equally happy working on own initiative as in a team. S/he will work closely with the Partners on certain projects and independently on other projects and is in direct contact with candidates and clients. The role is broadly based and integral to the overall Search process but we also offer to broaden your scope into other services we provide like NewPlacement, Management Development or Management Diagnostics. S/he is the one who drives his own agenda, the business development as well as the execution process and makes sure all internal and external deadlines and targets are met. We are looking for European Citizens with a Master´s degree and fluent in Dutch and English. Minimum of 8-10 years working experience in reputed companies of which a minimum of 5 years in Executive Recruitment or Executive Search. For more information, please contact Sanne Krijgsman at +31206971410. If you are interested please apply via the "Apply" button. Please submit your CV in Word format an application/ motivation letter is appreciated.